Real Talk with the Bishop! Join Bishop on the following social media sites below. Facebook Live on Monday’s, Wednesday’s and Friday’s at 7:00 am cst. Live on Periscope on Monday – Friday at 7:00 am cst. 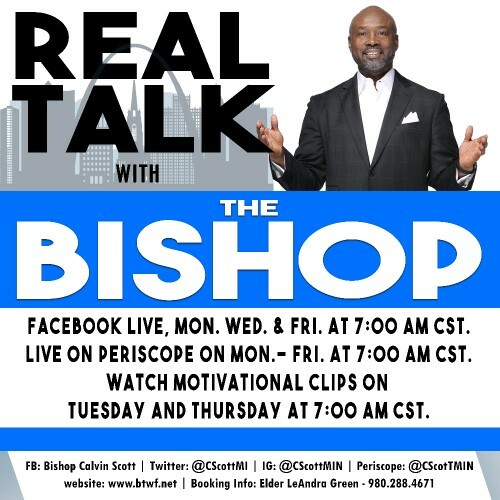 Watch motivational clips on Facebook on Tuesday – Thursday at 7:00 am cst.